By Leah Dobrinska. Dec 1, 2016. 9:00 AM. Books make the best gifts. It’s true. 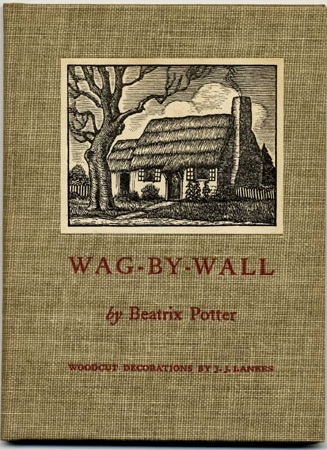 A perfectly selected title is a thoughtful, timeless gift. 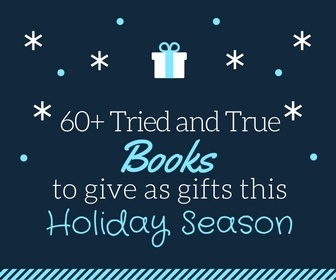 While giftees may grow out of other items or move on from current fads, books remain—perched on the nearest bookshelf, nightstand, or coffee table, ready to inspire and teach. For our holiday gift guide this year, we’ve broken down books into simple categories to make it easy to pick out a title for everyone on your list. No extra dialogue. No fluff. Just you and the books that’ll make the best gifts for everyone on your list. Some of these titles were picked for being classics with staying-power while others were chosen for their modern-day relevance, so be sure to follow the links provided for more information on each book and author. Happy book hunting and happy holidays! 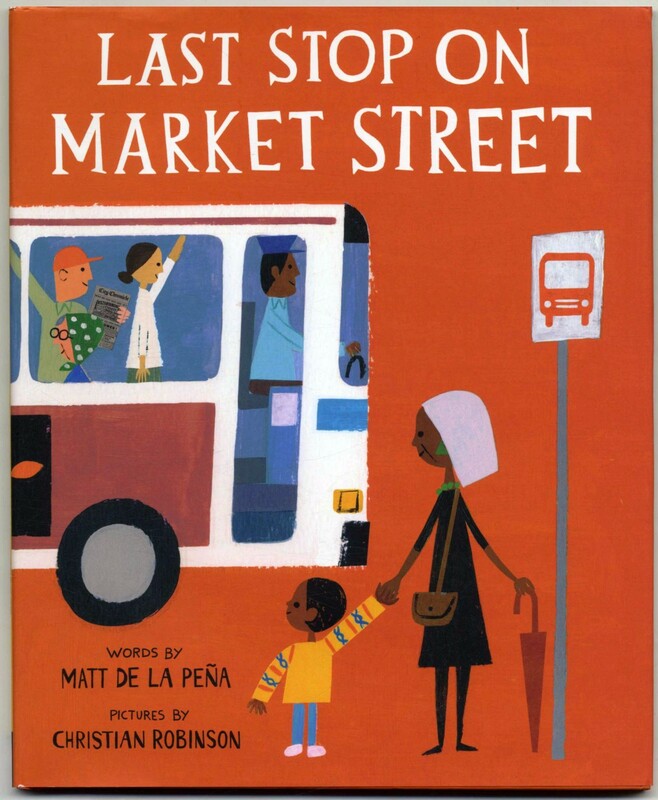 Last Stop on Market Street, Matt De La Peña - The sweet story of a boy, his grandma, and the beauty to be found all around. Finding Winnie: The True Story of the World’s Most Famous Bear, Lindsay Mattick - For Winnie-the-Pooh fans of all ages, this is a must-have. The Adventures of Beekle: The Unimaginary Friend, Dan Santat - An enchanting story about imaginary friends and how they find their homes. Rickie and Henri, Jane Goodall - From the legendary Jane Goodall, a children's story about a baby chimpanzee and the friends she makes. Misadventures of Sweetie Pie, Chris Van Allsburg - Sweetie Pie is about to leave the pet store. Come along for all her (mis)adventures. 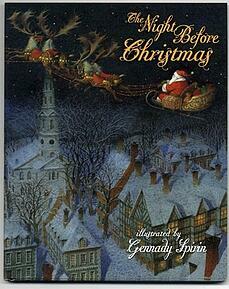 The Night Before Christmas, Clement Clarke Moore - You can't go wrong with this Christmas classic. Now dash-away and grab a copy. Flora & Ulysses: The Illuminated Adventures, Kate DiCamillo - A girl, a squirrel, and an unprecedented friendship. This Newbery Medal winner doesn't disappoint. The Adventures of Tom Sawyer, Mark Twain - This book never goes out of style. Why not gift it to the adventuresome teen in your life? 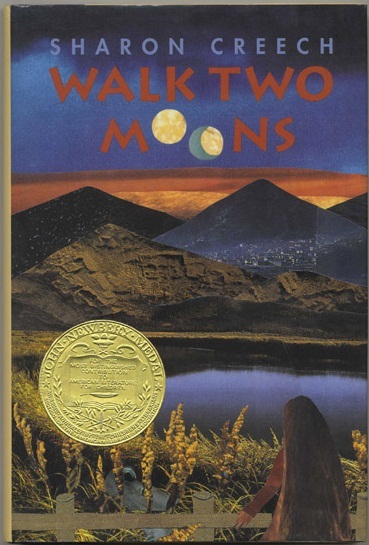 Walk Two Moons, Sharon Creech - A girl embarks on a cross-country trip and finds herself on a journey of self-discovery. Recommended for ages 11 and up. Out of the Dust, Karen Hesse - Set during the Dust Bowl, this tale of a family of farmers is sure to rope readers in. Moon Over Manifest, Clare Vanderpool - The story of young Abilene Tucker, who jumps off a train in search of answers about the past. The Invention of Hugo Cabret, Brian Selznick - Part comic book, part picture book, part novel, part flip book, Hugo Cabret is lengthy and unexpected in all the right ways. Bud, Not Buddy, Christopher Paul Curtis - Set during the Great Depression, the humor and style with which this book is written will leave young readers loving Bud and wanting more. When You Reach Me, Rebecca Stead - Join sixth grader Miranda in a fantastic world where notes she receives begin accurately predicting the future. The Spiderwick Chronicles, Tony DiTerlizzi and Holly Black - This series is a gift that keeps on giving, as young readers can join in the Grace children's adventures through several books. 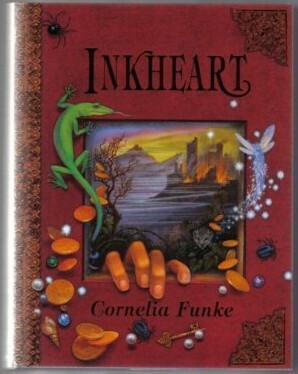 Inkheart, Cornelia Funke - The first book in the Inkheart Trilogy, Inkheart introduces us to Meggie whose father is able to magically bring characters from books to life. The Casual Vacancy, J.K. Rowling - Question? Can we ever have enough J.K. Rowling? Answer. No, we cannot. Check out her first adult novel and gift it to all the Harry Potter lovers on your list. Wuthering Heights, Emily Brontë - A timeless tale of passion and the perfect winter read. 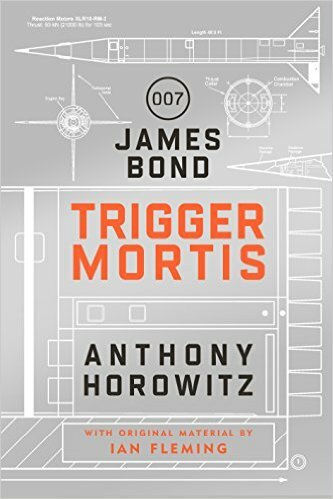 Trigger Mortis, Anthony Horowitz - That this is Horowitz's first stab at James Bond makes it an interesting gift for the Ian Fleming/James Bond fanatic in your life. Siro, David Ignatius - Set during the unraveling of the Russian empire, Siro is fast-paced and full of intrigue with themes that still resonate today. Home, Toni Morrison - With this book, you get the Nobel Laureate's moving story about an obviously defeated man finding his home. The Anatomy Lesson, Philip Roth - The third of his novels to feature protagonist Nathan Zuckerman, this book is classic Roth. Focus, Arthur Miller - Dealing explicitly with racism, Arthur Miller's Focus is as poignant today as it was upon publication. Half a Life, V.S. Naipaul - Naipaul shines in this book, a tale about a man who lives a life that's never quite his own. Living to Tell the Tale, Gabriel García Márquez - The first volume of Gabo's planned trilogy about his life. From the Kingdom of Memory: Reminiscences, Elie Wiesel - What better way to honor the passing of the legendary Elie Wiesel than by learning from his legacy? 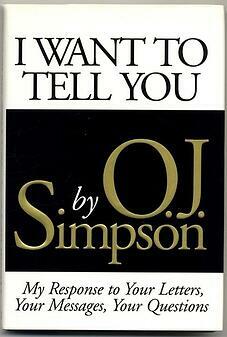 I Want to Tell You, O.J. Simpson - O.J. Simpson's name has been back in the news this year with TV shows and documentaries airing his story making this a timely gift. Wild: From Lost to Found on the Pacific Crest Trail, Cheryl Strayed - For those on your list who believe that books trump movies, gift them with the inspiration for the major motion picture, Wild (2014). Wouldn’t Take Nothing For My Journey Now, Maya Angelou - Maya Angelou will never go out of style. And her words will always make us think and feel deeply. No Dream is Too High: Life Lessons From a Man Who Walked on the Moon, Buzz Aldrin and Ken Abraham - Connect your giftee to a man who holds a unique place in the fabric of human history, astronaut Buzz Aldrin. 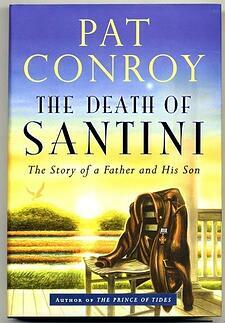 The Death of Santini: The Story of a Father and His Son, Pat Conroy - With Conroy's passing in March, why not revisit some of his most touching work? Autobiography of Mark Twain, Mark Twain - For the American Literature enthusiast on your list, a fine copy of this book is sure to be a hit. Aurora Teardrops, Harold Budd, Batik art by Jane Maru - Budd's poetry and Maru's art shine in this fine press masterpiece. 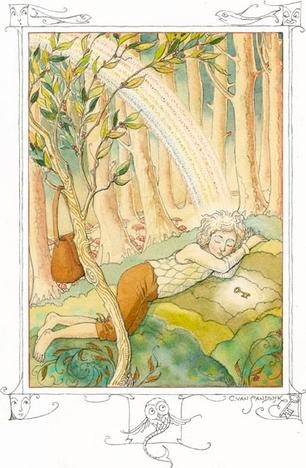 The Golden Key, George MacDonald - With illustrations by Charles van Sandwyk, this book is a whimsical romp through fairyland. The Brownsville Boys: The Jewish Gangsters of Murder, Inc., Larry Sullivan, Portraits etched in color by Bob Wakefield of the Chevington Press - Released in 2014, this book was written in a distinctly noirish style with illustrations to match. Picasso: Creator and Destroyer, Arianna Stassinopoulos Huffington - Arianna Huffington, creator of the Huffington Post, details the life and work of Picasso in an all-encompassing way. Betwixt and Between: The Art and Influences of Charles van Sandwyk, Charles Van Sandwyk - A fascinating look at the people who influenced the great Charles Van Sandwyk. The Philosophy of Andy Warhol (From A to Z and Back Again), Andy Warhol - Warhol and the visual arts movement go hand-in-hand, making this a perfect gift for visual art enthusiasts on your list. Undersea, Rachel L. Carson, Illustrated by Dugald Stermer - From Nawakum Press, this book combines art and science in a fabulous way. A Full Life: Reflections at Ninety, Jimmy Carter - Anytime we get to hear from someone at age 90, especially a Nobel Prize winner and former president, we should listen. Living History, Hillary Rodham Clinton - To say Hillary Clinton's been in the news lately may be the understatement of the year. Pick up Living History for the Clinton fan on your list. 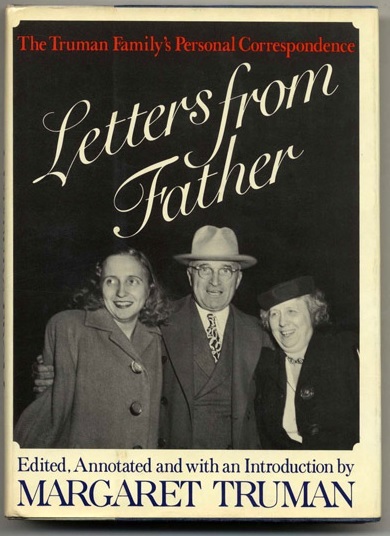 Letters From Father, Margaret Truman - For those interested in the human side of politics, Letters From Father is an ideal pick. The Watergate Set, Bob Woodward and Carl Bernstein - Political intrigue, corruption, hard-hitting journalism, this true tale of the Watergate Scandal doesn't get old. Tears of Autumn, Charles McCarry - We included this, a political novel surrounding JFK, for those who may be interested in some gripping political fiction. The Audacity of Hope, Barack Obama - As we get ready to bid our current president farewell in January, why not take it back to where it all began with The Audacity of Hope? 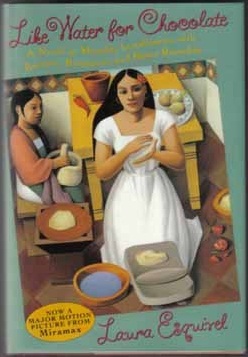 Like Water for Chocolate, Laura Esquivel - A magic realism, romance novel and Mexican cookbook all rolled in to one. What's not to love? The World of Cheese, Evan Jones - Cheese. Need we say more? Magic In the Kitchen: Signed Bob Waggoner Edition, Jan Bartelsman - A collection of Bartelsman's photographs of top chefs and their food along with recipes, this book combines art and food in a delicious way. A New Turn in the South, Hugh Acheson - As the tagline of the book says, "Southern flavors reinvented for your Kitchen." Lee Bailey’s Cookbooks, Lee Bailey - For the chef in your life, you really can't go wrong with any of Lee Bailey's cookbook titles. Tapas: The Little Dishes of Spain, Penelope Casas - Again, Tapas. Need we say more? Emeril Lagasse’s Cookbooks, Emeril Lagasse - When your gift recipient gets his or her Emeril Lagasse cookbook, you're sure to be thanked with a "bam!". Seabiscuit: An American Legend, Laura Hillenbrand - Hillenbrand's re-creation of the underdog story and the horse that stole America's heart in the late 1930s. A Golfer’s Life, Arnold Palmer - With Palmer's recent passing, this book makes a thoughtful and timely gift for golfers on your list. Golf Dreams, John Updike - From Updike himself: "In many weathers inner and outer amid many a green and winding landscape, I have asked myself what the peculiar bliss of this demanding game is, a bliss that at times threatens to relegate all the rest of life ... to the shadows." 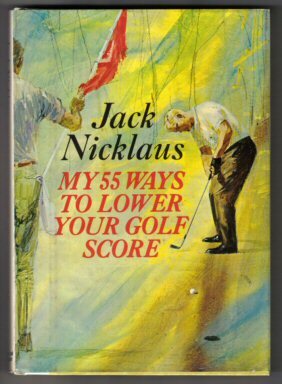 My 55 Ways to Lower your Golf Score, Jack Nicklaus - We know, another golf book, but is Jack Nicklaus ever a bad idea? We didn't think so. The Winning Edge, Don Shula - Get the inside scoop on the football dynasty that was the Miami Dolphins in the words of their coach, Don Shula. The All Girl Football Team, Lewis Nordan - Speaking of football, check out this collection of short stories from Lewis Nordan. A Sporting Pilgrimage, Caspar W. Whitney - Subtitled "Riding to the Hounds, Gold, Rowing, Football, Club and University Athletics. Studies in English Sport, Past and Present", this book is perfect for the sports history buff in your life. These classic titles and authors speak for themselves, but be sure to click on the links for more information about each sought-after collectible. If you can’t find what you’re looking for with one of these 60+ titles, email us at blog@bookstellyouwhy.com or leave a comment below for a personalized recommendation!